Manages the wine inventory for all restaurants including maintaining accurate par levels, rotating stock, requisitioning of all wine and supplies. Full responsibility for all accounting procedures related to wine sales and inventories. 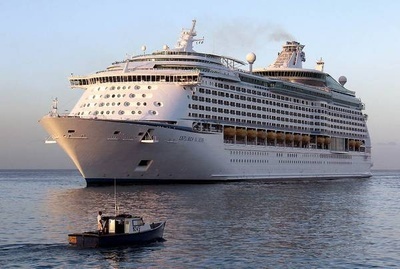 All duties and responsibilities are to be performed in accordance with Royal Caribbean International’s Gold Anchor Standards, SQM standards, USPH and HACCP guidelines, environmental, and workplace safety policies and procedures. Each shipboard employee may be required to perform all functions in various food and beverage service venues throughout the ship. In accordance with Royal Caribbean International’s philosophy of Anchored in Excellence, each employee conducts oneself in a professional and courteous manner at all times. This consists of physical and verbal interactions guests or fellow shipboard employees and/or in the presence of guest contact and crew areas. I. 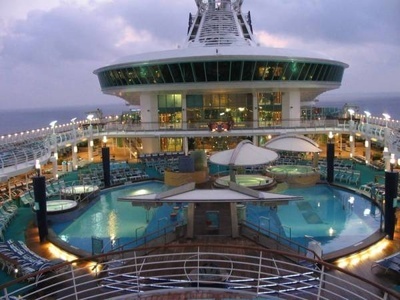 Reports to their assigned workstation on time and according to uniform and grooming standards as outlined in the Royal Caribbean International’s Gold Anchor Standards. II. Maintains accurate par levels and rotates stock of all restaurant areas. III. Maintains inventory of wines and other items utilized in the wine stand. Orders or requisitions wines and supplies. Conducts inventory counts as scheduled and unscheduled. IV. Performs daily inventory checks against set par levels. Checks inventories level against daily revenue report to ensure all inventories are accounted for. Identifies discrepancies, follow up to ensure accountability and provides the Beverage Manager with a daily recap report. V.	Recommends and implements ways to maximize wine order revenue and minimize costs. VI. Ensures that wines are accurately accounted for through proper charging procedures. VII. Correctly documents all movement of wine, sales, spoilage, breakage, shortage and transfers. VIII. Prepares end of week closing report and inventory for all wine locations. IX. Regularly checks and coordinates wine inventory with the Inventory Manager, Provision Master and Beverage Manager. Ensures any par level adjustments are communicated in an appropriate time frame. Identifies slow or non-moving wines and manages the depletion of these. X. Ensures proper execution of all deliveries of wine orders in the stateroom, dining room or other locations assigned. XI. Reconciles all wine orders at the end of the voyage and ensures all proper charging procedures are followed. Report to be presented to the Beverage Manager and Supercharge Purser for verification. XII. Is in consistent and close communication with all dining venue managers and discusses recommendations to encourage sales of slow / non-moving wines. XIII. Responsible for staff wine training and guest wine tasting. XIV. Maintains a clean and safe work environment, according to USPH standards are met. XV. Ensures all wines are stored at the right temperature and all equipment in the wine stand areas are in working order. XVI. Works independently without immediate supervision. XVII. Attends meetings, training activities, courses and all other work-related activities as required. XVIII. Performs related duties as required. This position description in no way states or implies that these are the only duties to be performed by the shipboard employee occupying this position. Shipboard employees will be required to perform any other job-related duties assigned by their supervisor or management. 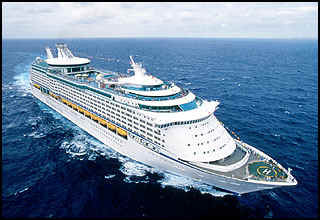 Successfully completes Royal Caribbean’s International’s Alcohol Awareness Training Tests (ServeSafe) with a passing score, within 30 days of contract. Two to three years previous wine experience, preferably as a sommelier or cellar master in a high volume location. Extensive knowledge of wine varietals and wine producing countries. Highly motivated, personable and service oriented individual that is able to communicate comfortably in large and small groups is required. Candidates are required to demonstrate their knowledge and skills as it pertains to this position. Ability to build interdepartmental relationships. Ability to work independently, quickly and accurately. Working knowledge of public health standards and work place safety. Ability to up-sell and promote wines. Ability to provide on-the-job training to Restaurant Personnel. Completion of 5-year high school or basic education equivalency required.